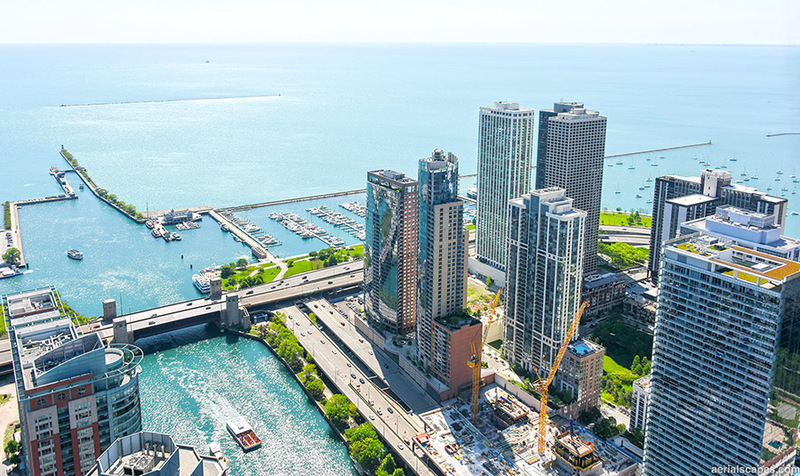 It was a gorgeous day yesterday for aerial photography in Chicago - we grabbed the helicopter and captured several sites on the north side, downtown, in the western suburbs, and near O'Hare. Below is one of my favorite shots from the flight, an aerial from over the Chicago River, looking southeast out towards Lake Michigan. The lake was so blue it reminded me of imagery I've captured over Miami. It does not always look this way, however: sustained east or northeast winds will churn up shoreline and create a muddy brown. Fortunately the winds are more often from the west and we can imagine we're over the Caribbean when looking down at the lake. 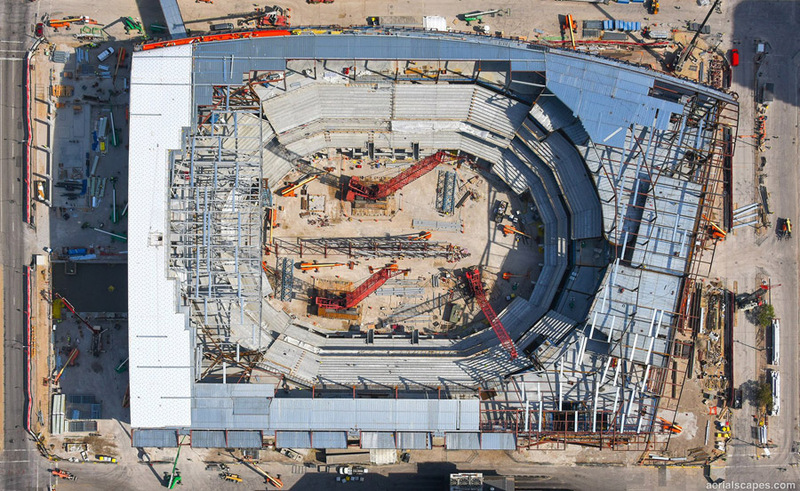 Here's a straight-down look into the new Milwaukee Bucks Arena. Construction started in June, 2016 and is scheduled for completion for the 2018 NBA season. 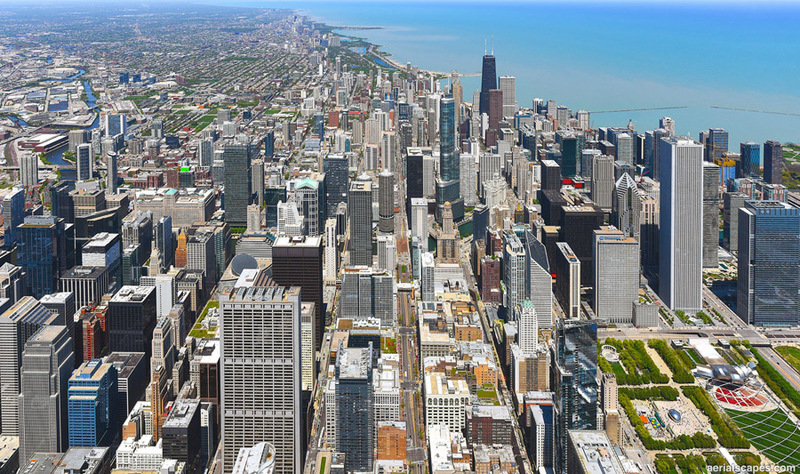 We find ourselves capturing aerial photography over Chicago almost every week - here's an image from a wonderful May flight, looking north up State Street, featuring Chase Tower, Aon Center, Trump Tower and the John Hancock Center, among many others. 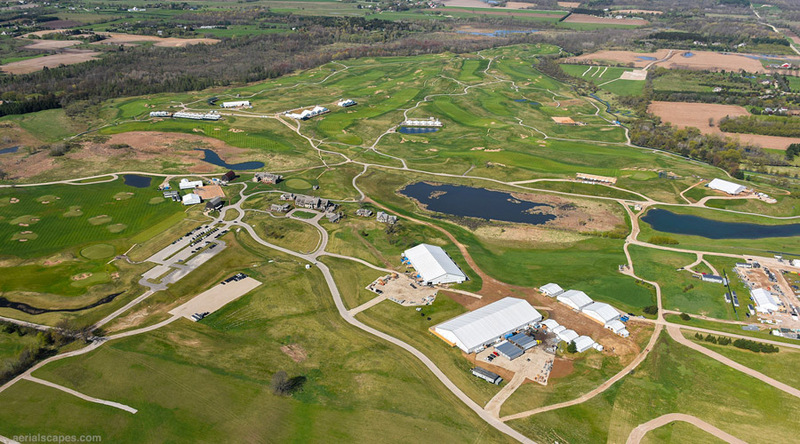 Preparations are well underway at Erin Hills, the site of the 2017 US Open in Erin, Wisconsin. 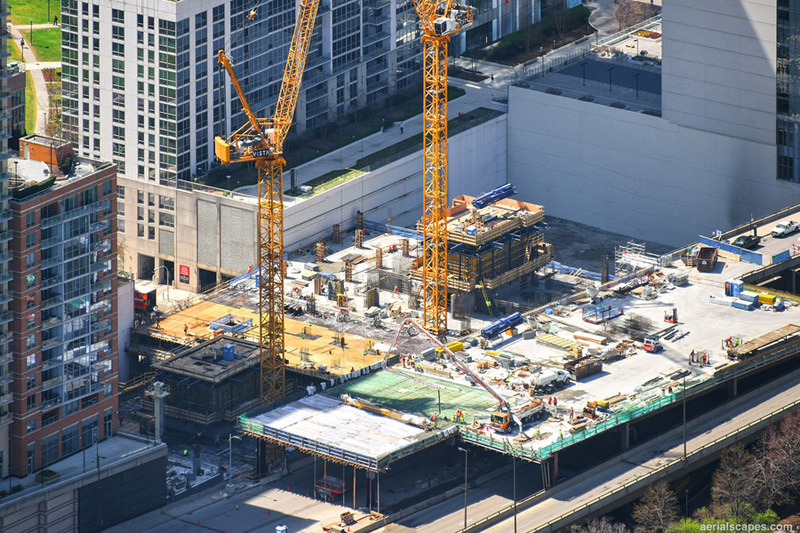 This aerial photo shows Vista Tower starting to rise along Wacker Drive in Chicago. 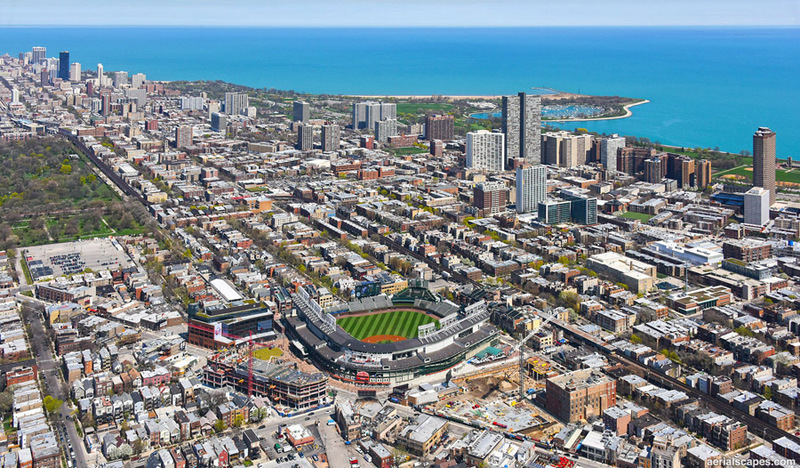 Wrigley Field and the surrounding Wrigleyville and Lakeview neighborhoods are stunning on this beautiful spring day! 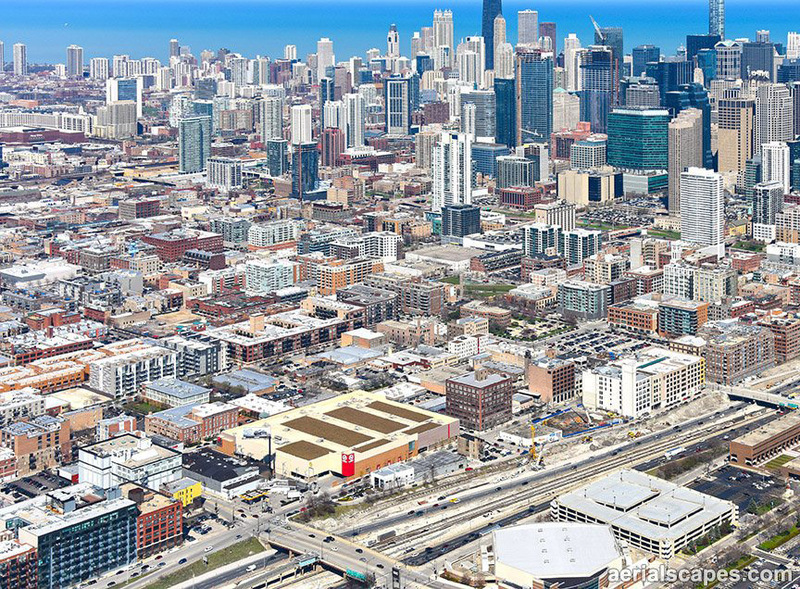 Also visible is the new Cubs office building just west of Wrigley, the under-construction Hotel Zachary across Clark Street to the southwest, and the 'Addison & Clark' development across Addison Street to the south. Montrose Harbor is beyond. 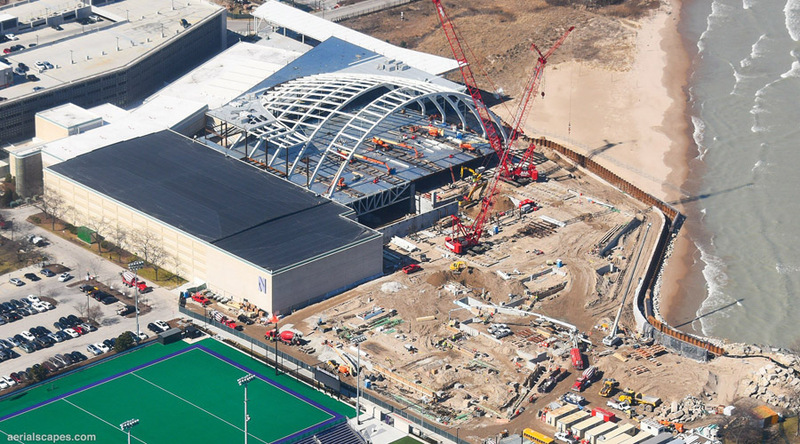 Work continues at Northwestern University and the expansion of the Ryan Fieldhouse and Walter Athletic Center along Lake Michigan. 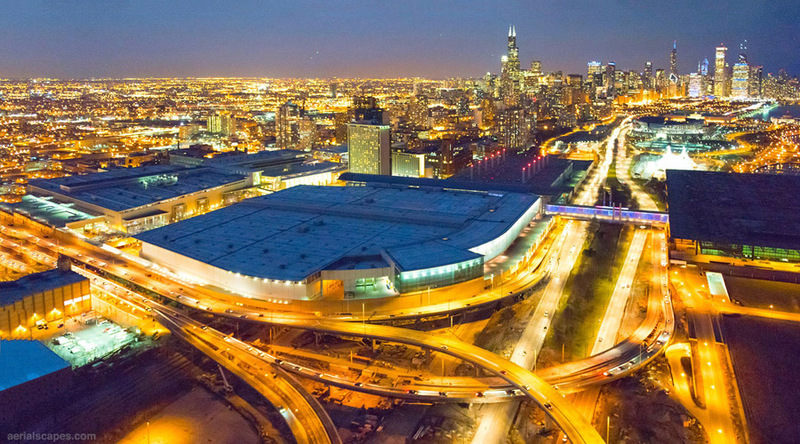 We had a neat opportunity to capture McCormick Place at dusk. This beautiful view shows the redesigned Lakeshore Interchange in the foreground and the lights of Chicago behind. It was a frigid February day of flying in Green Bay and the Fox Valley. 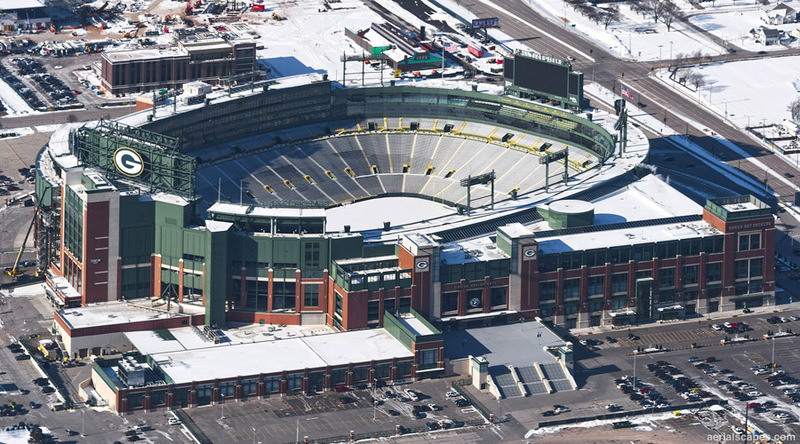 Although it's now the off season it's always fun to fly by Lambeau Field, here looking every bit the Frozen Tundra! 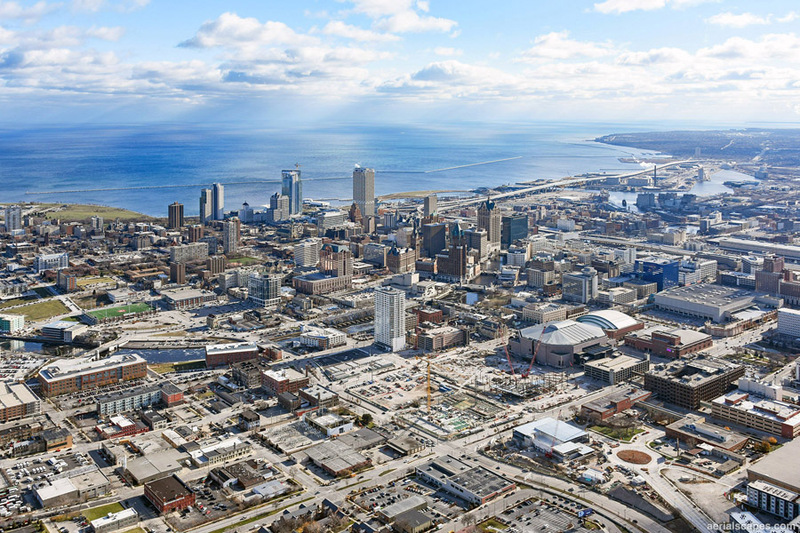 Here's a snowless December aerial photo of Milwaukee to start the New Year. The foreground features the incredible arena district construction activity, anchored of course by the new Milwaukee Bucks Arena and also including the Bucks training facility and a large parking structure. More to come! 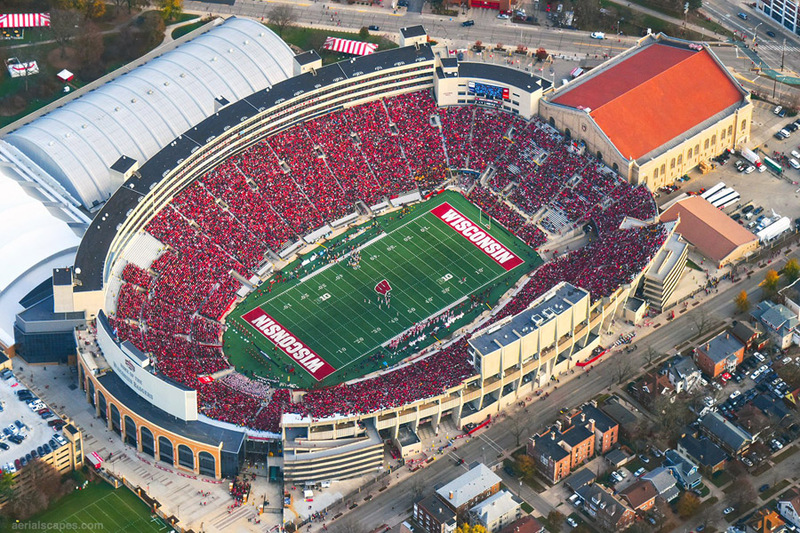 We found ourself over Camp Randall in Madison Wisconsin on Saturday as the Wisconsin Badgers defeated the Minnesota Golden Gophers to earn another trip to Indianapolis and the Big 10 Championship game. We had a gorgeous October afternoon for aerial photography over Chicago's Goose Island. 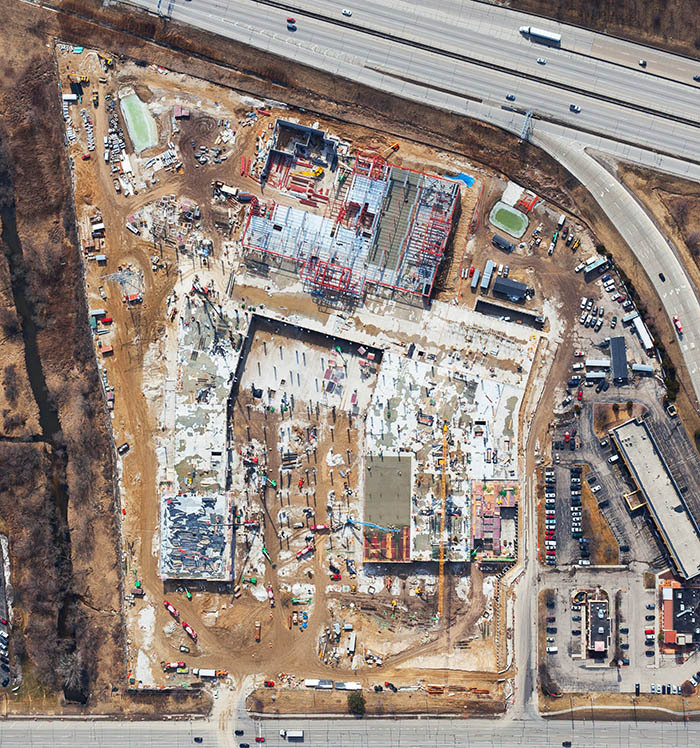 It's always exciting to capture aerial photography near the busy O'Hare airport, one of the world's busiest. We always work very closely with air traffic control including pre-flight coordination so they know when we're coming, where we intend to fly, at what altitude(s), and how long we'll be on site. 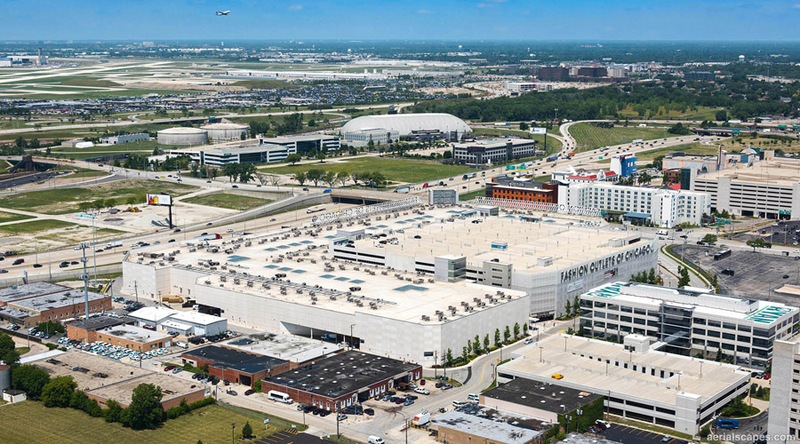 This particular image was captured in Rosemont, on the east side of O'Hare, with the Fashion Outlets of Chicago in the foreground. 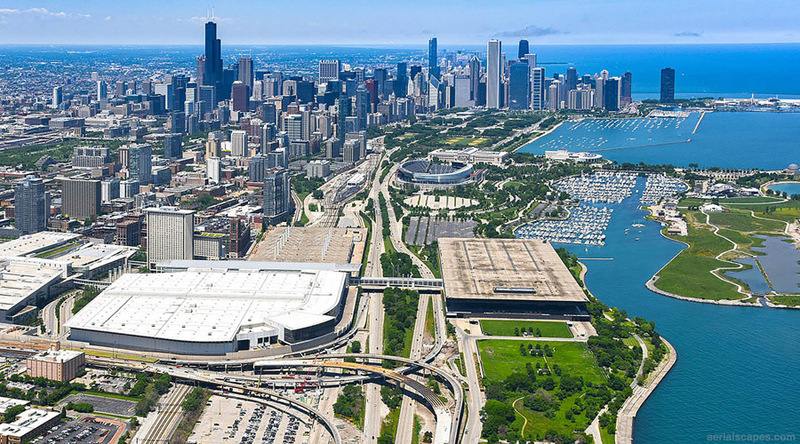 There won't be a Lucas Museum of Narrative Arts on Chicago's Lakefront: http://www.chicagobusiness.com/article/20160624/BLOGS02/160629884/lucas-pulls-the-plug-on-chicago-museum This aerial photo captures the museum's proposed location north of McCormick place and south of Soldier Field. 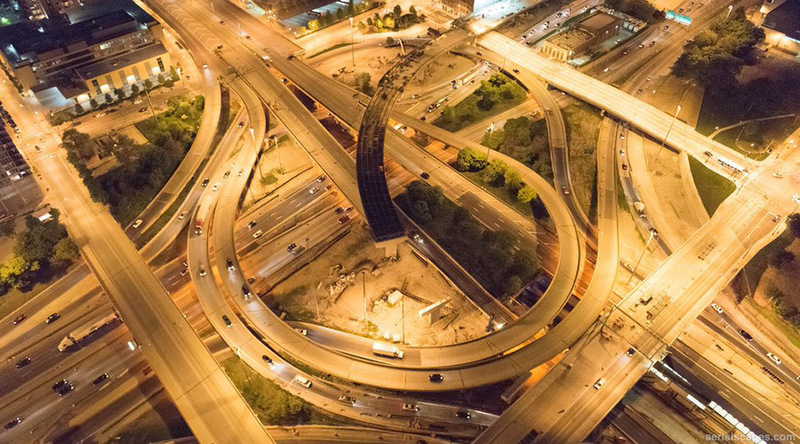 We had a great opportunity to shoot a few interchanges in Chicago at night. Given the specifications for the shoot we used a helicopter to get in nice and close while maintaining clearance requirements from surrounding buildings - something an airplane couldn't do in this particular location. 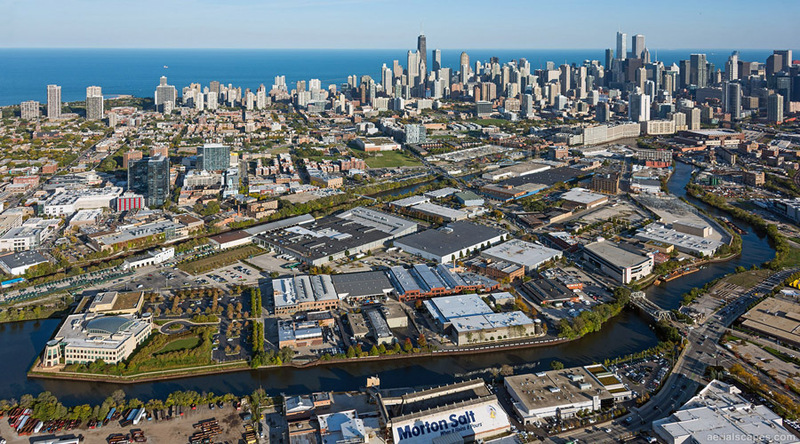 It was a beautiful spring day for aerial photography over Chicago's busy and growing West Loop and Fulton Market area! Still a bit drab outside? Aerialscapes has an extensive collection of stock aerials that will look great in your marketing collateral - here's a sample of Randall Road retail property in Algonquin. It's pretty rare that we shoot in overcast, not to mention drizzle, although if the client's deadlines don't line up with a great weather forecast we'll certainly get out and fly! 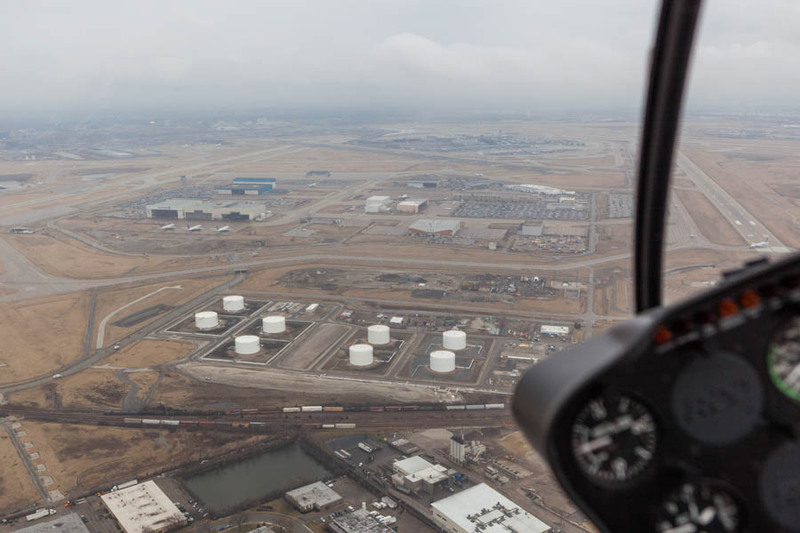 Here we are capturing recent aerial photography in the helicopter just off the runways at O'Hare. 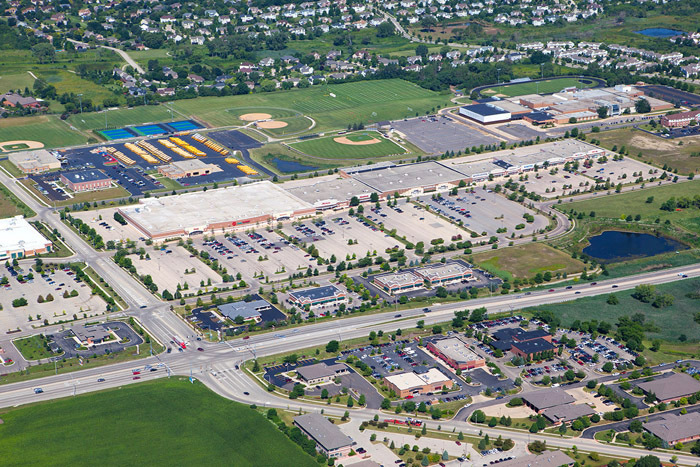 Flew over The Corners of Brookfield yesterday, a major project bringing upscale retail to the area. Some nice sunshine despite the cloudy forecast. 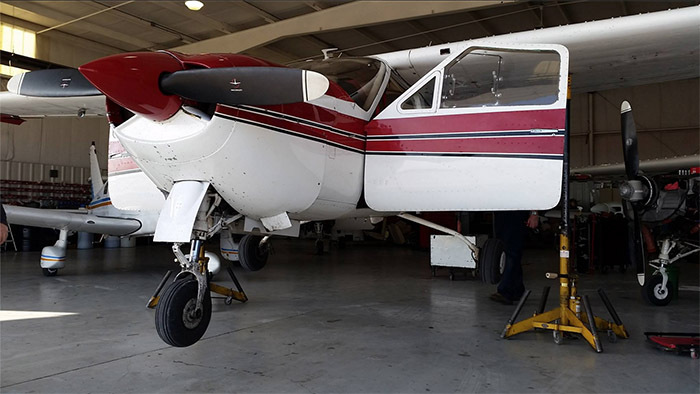 Took the plane in for a little TLC today, just a minor issue that the good people at Aviation Plus (www.aviationplusllc.com) in Kenosha took care of quickly. It's a pretty special plane, perfectly suited for aerial photography. No wing struts to get in the way, retractable gear for speed and a clear shot, and removable window sections so we're not shooting through plexiglass for you. One of my personal favorites and probably the only image I still use that was captured in the early days, on film. 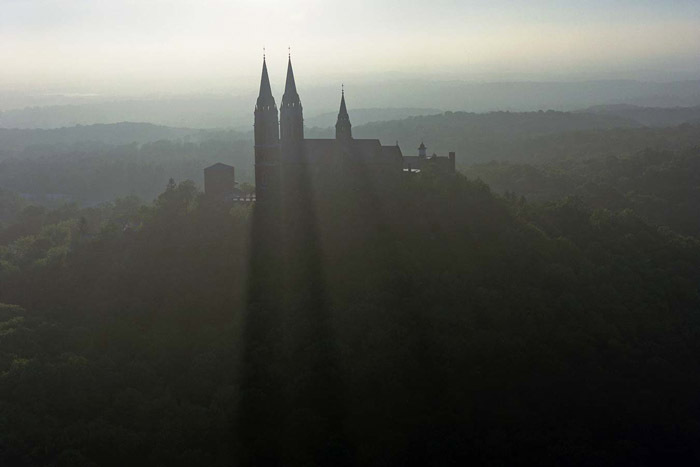 The image was captured on a hazy June day at the exact, brief moment we passed over the shadows of the spires, the only moment we could see their streaks behind the silhouette.